The first followers of Saint Francis of Assisi were known as the “Mendicants from Assisi.” Yet as the group attracted men and women from all over Italy and beyond, a new name, not specific to Assisi, was needed. Saint Francis named his brotherhood the Ordo Fratrum Minorum (O.F.M.). This is typically translated from the Latin as the Order of Friars Minor, implying that there is an Order of Friars Major. A better translation might be the Order of Lesser Brothers. 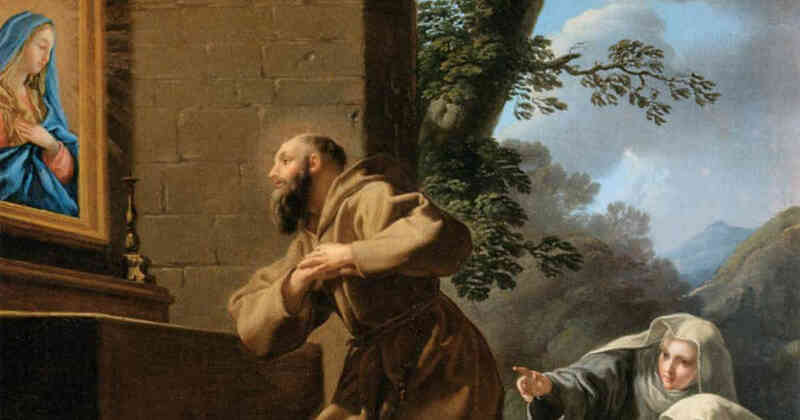 Saint Francis wanted himself, and all of his brothers, to be less in everything—less prideful, less well known, less wealthy, and less well nourished than anyone else. Today’s saint, the Padre Pio of his era, was a holy priest from the town of Paola in Southern Italy. He was baptized as Francis by his parents when, after several years of going childless, they made a vow to name any son that might be born to them in the great saint’s honor. Francis of Paola was worthy of his namesake from a young age. His parents took special care with his religious upbringing and brought him to live for a year in a Franciscan monastery when Francis was just twelve. The young Francis developed a reputation for holiness even when just a teen. By the age of twenty, he was living as a hermit in a cave near Paola when local men began to gather around him. The fledgling group adopted the name “the Hermits of Brother Francis of Assisi,” a name later changed to the “Friars Minims,” or just “Minims,” meaning “less” or “least,” in the spirit of the “Lesser Brothers” that Saint Francis of Assisi had founded centuries before. Francis of Paola desired humility, nothingness, and total self-abnegation. He and his followers lived a perpetual Lent. All Minims took the usual vows of poverty, chastity, and obedience. But they also took a special fourth vow to abstain, all year long and all life long, from meat, eggs, butter, cheese, milk, and all dairy products. The fast never ended. This was mortification on a heroic scale. Vegetarianism, much less veganism, was a step beyond what Saint Francis of Assisi himself had lived. Saint Francis of Assisi ate what was set before him, including meat. He even criticized vegetarian brothers who refused meat, saying such an attitude questioned God’s providence and presumed the future, when a brother should instead gratefully accept whatever dish was placed on the table before him. Francis of Paola’s veganism was united to a strict moral code, a community life built around the Sacraments, and a deep spirituality centered on Jesus Christ. To be “one with nature” does not mean to be morally ambiguous or to break with religious traditions. A diet should not be a creed. 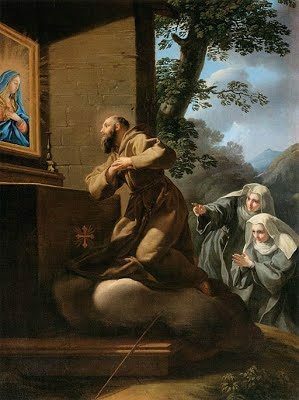 Saint Francis was organic in that he lived one with God, with nature, with his religious brothers, and with the Church. Francis was perennially concerned with the moral laxity of the Church of his era, and purposefully fasted and did penance in reparation for its sins. While Francis of Assisi lived austerely and suffered debilitating illnesses, he was nevertheless cheerful and animated in his dealings with others. No one ever accused Francis of Paola of being ebullient. He was a fully armed spiritual warrior of the most serious kind. He went barefoot. He slept on a board. He was a desert father without the sand. After a very long life of fasting, prayer, miracle working, and wide fame for his holiness even outside of Italy, Saint Francis of Paola died in France. His order had by then spread throughout Europe. His reputation for sanctity was such that he was canonized in 1519, only twelve years after his death. In 1562, Protestant Calvinists in France unsealed his tomb and found his body incorrupt. They then desecrated the saint, scattering his remains. Saint Francis of Paola, after sacrificing everything in life, was not allowed to rest in peace. He was strewn about like trash, ensuring that only trace relics of him remained. Saint Francis wanted to be treated as the least of all. His desire was fulfilled both in life and in death.